This is an industrial warehouse and website so if you show up you will be turned away because we are proprietary and not set up to manage a store-type atmosphere. Keep in mind that we are a warehouse and not a store and under no circumstances can you show up and "go shopping". Orders must be placed through our website and we will advise you when it is ready if and when it is eligible for pick up. Generally orders that are eligible for pick up are motor freight items (48 X 96 sheets, etc) and very large quantities. Commercial customers are also eligible for pick up at our warehouse through advance arrangement. Generally, residential customer orders are shipped out because we may only make few dollars on a sale, we put it in a box and out it goes. Although you are saving money by picking it up, we are losing money if we have to manage non-industrial pick ups. If you have further questions about this just give us a call and we'll be happy to help. 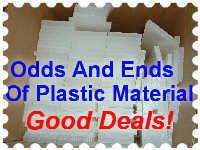 Here is a listing of odd sizes, closeouts, and otherwise not-yet-classified material. If you want something on this page, don’t delay as quantities are usually limited. 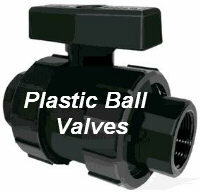 Our plastic ball valves are great for everything from industrial process applications to aquarium systems. 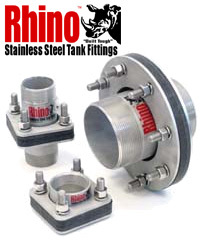 Designed and engineered to perform under the harshest conditions, Rhino Stainless Steel Tank Fittings offer the ultimate in Sealing Power, Corrosion Resistance and Outright Brute Strength! 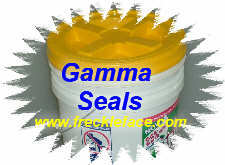 The Gamma Seal lid permanently transforms your 12" diameter bucket into an airtight/leak proof storage container. Now a bucket can be used for hundreds of household and other storage applications! Simply snap the patented adapter onto your bucket and spin-on the removeable lid. These Are Replacement Guards For Brown And Sharpe Large And Small Ultramatics. 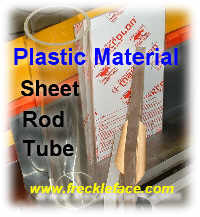 1/4" Thick Eastman Spectar Material * Stronger Than Acrylic * More Oil Resistant. * Shatter Resistant Flat Transition Instead Of Round For Undistorted View. Check out this Polypropylene washout booth for containing your dirty overspray. Use for cleaning silkscreens, dirty parts, anywhere a rustproof and chemical resistant containment is needed. Welcome to the largest selection of plastic cutting boards anywhere! We sell to restaurants, meat processors, and to the general public. Aren't you tired of only having a limited size selection at the department stores offering you thin, flimsy products? Click here to see your choices.